On a rainy Saturday morning, A & I headed up to Ubud for the day to order a new set of plates from Gaya Ceramics (which is about time since we’re still using our wedding china). After looking through their display and making our selection (a modern textured base plate, dinner plate and bowl), we headed out to lunch with Marcello and Michela to their preferred Japanese restaurant in Ubud. 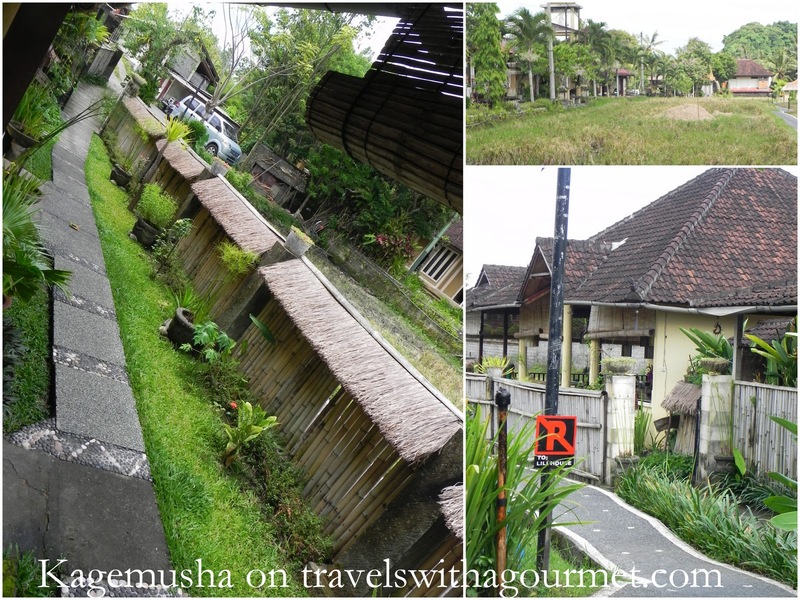 Kagemusha is a small open-air warung just off the main road, through a side alley and down a paved walkway alongside a rice paddy. The place is simple with a few wooden tables in the main area and three traditional low tables with floor seating on one side. Their specialty is Japanese home-style cooking. We ordered several dishes to share – two types of grilled aubergine, one with miso which was sweet and smoky and another plain brushed with soy sauce which really brought out the flavor of the eggplant, vegetable tempura, deep-fried squid with shallots, chili and lime, a simple salad with sesame dressing, grilled pork loin, yakitori and steamed rice. 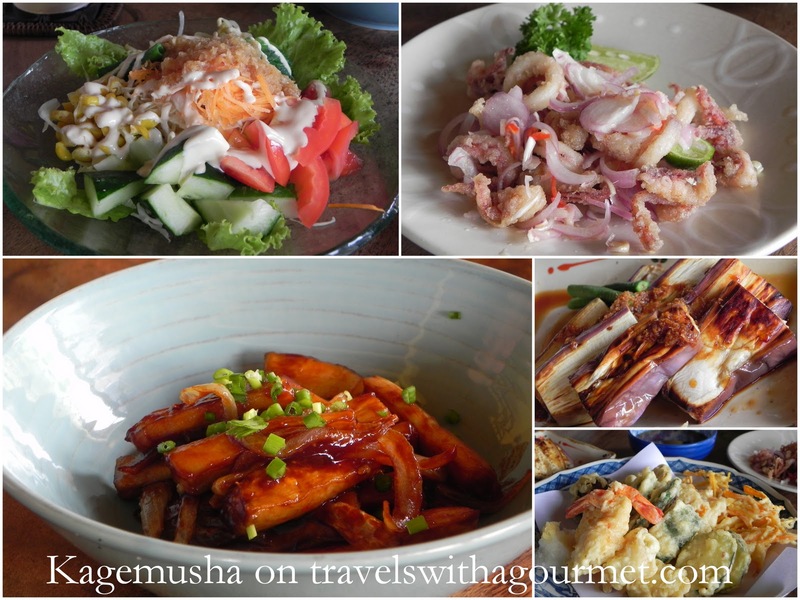 Sharing home-style food with friends is one of the most enjoyable ways to eat together and the simple flavors at Kagemusha make the meal even more enjoyable. Thanks Marcello & Michi for sharing one of your local favorites!